ALLEGRA BOVERMAN/Staff photo. Gloucester Daily Times. 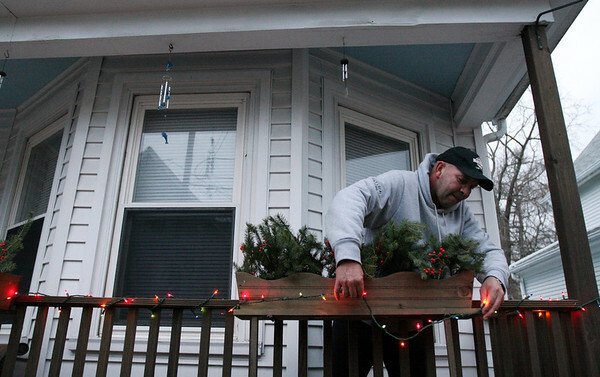 Gloucester: Chris Jedrey strings some of his colored lights along his porch on Centennial Avenue on Tuesday afternoon.